Nike Basketball debuted a new video today showing Kevin Durant designing special pairs of the new Nike KD V iD for two of his biggest fans. Nike Basketball debuted a new video today showing Kevin Durant designing special pairs of the new Nike KD V iD for two of his biggest fans. 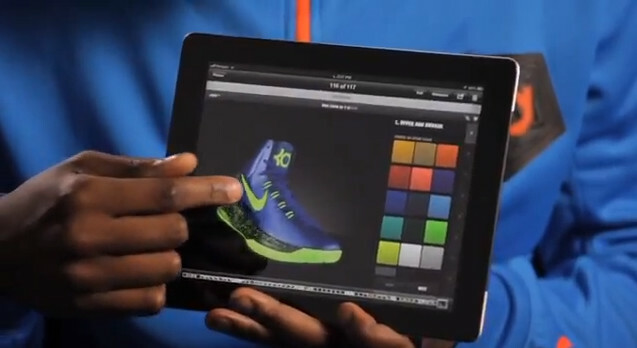 Check out the Oklahoma City star's creative process in the video below, and design your own KD V iD now at NIKEiD.com.